YouTube offers marketers the opportunity to reimagine storytelling and build for the modern viewing experience. 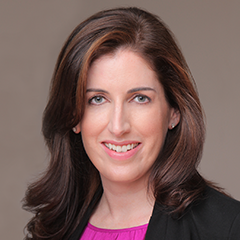 Tara Walpert Levy, Vice President of Agency Solutions at Google, shares strategies for capturing consumer attention through the power of video marketing. When I was a kid in the ‘80s, the only alternative to the family TV set was my portable TV radio, where I would watch “Family Ties” from bed, the antenna peeking out from the covers. I guess you could say I was among the earliest “mobile video” viewers. Back in those days, there were only a handful of options for marketers looking to achieve significant reach through video. Millions of people tuned in to just a few shows each night, captivated by the antics of a young Michael J. Fox or a bartending Ted Danson. Today, we’re seeing the opposite. The amount of video channels and devices available to viewers and marketers number in the thousands, if not millions. Options to reach people through video have become plentiful. The problem is, the captive TV audiences of the 1980s are as rare as the jelly bracelets and feathered hairstyles that defined the decade. Research shows that two-thirds of people say they pick up another device during a television ad break.1 Today's scarce commodity is no longer reach, it's attention. While the shows and screens have all changed since the ‘80s, many of our viewing habits have stayed the same. There’s actually a lot marketers can learn from the ‘80s if they’re looking to capture audience attention. Like Marty McFly in “Back to the Future,” this article will take us back in time to bring our online video marketing strategies into the future. Same Time, Same Place, Different Screens. So what does the ‘80s viewer have in common with today’s viewer? For one, prime time is still, well, prime. Across both television screens and mobile devices, 8:00 p.m. to 11:00 p.m. is the most popular time to watch YouTube.2 In fact, on mobile alone, more 18-49 year-olds watched YouTube in prime time than the top 10 TV shows combined.3 We may have more devices to turn on, but there’s still no better time to tune in. When they watch isn’t all today’s viewers have in common with ‘80s viewers; they share where they like to watch, too. Just like me with my portable TV radio in bed, more than 90% tell us they watch YouTube on a mobile device at home, usually in the bedroom or living room.4 And they’re bringing the YouTube content they love with them to the big screen, too: more than half of American adults watch YouTube on their TVs, and over 60% watch with other people.5 Sounds kind of familiar, doesn't it? We, as marketers, care about when people watch and what screen they watch on. But our consumers don’t. They just want to watch their favorite content wherever and whenever it’s right for them. They don’t view online video and TV in silos and if we want their attention, neither should we. Instead of sequencing our buying and planning separately—first by TV, then by online video—we should look at the video opportunity bottoms up and treat the entire video ecosystem as one. I’ll confess I had a little crush on Alex P. Keaton, Michael J. Fox’s character in “Family Ties.” But he was just a fictional character. Today, online video stars are real people who show up every day to share real, relatable life experiences and who speak directly with their fans, both on and off camera. I loved Michael J. Fox for the character he played; today’s fans love YouTube creators for their character. One thing modern viewers have in common with ‘80s kids is that they want to connect with the stars they love. But fans these days don’t just hang posters on bedroom walls; they hang out with YouTube creators and the communities that love them. Video Marketing Takeaway: Brands can capture attention by tapping into the brand equity of YouTube creators through media or by partnering more deeply with them on the content itself. Back when I was a kid, advertisers usually stuck to a traditional set of ad lengths. For video ads online, advertisers have followed a similar model and stayed loyal to the :15, :30, and :60 second options. At Google, we've been experimenting with alternative ad lengths and we’ve found that online video requires more options than traditional TV ads. While standard ad lengths are staples of any video plan, different ad lengths work best at different moments for consumers. Think about the different ways you consume video throughout the day, like when a friend sends you a link to a funny video. You’re not necessarily in the mood or the moment to watch a long ad beforehand. But when you’re sitting around at home watching a playlist of comedy videos, you’re much more open to it. Video Marketing Takeaway: Make the most of six-second ads and expand your creative assets to best capture people’s attention, no matter the moment. And as you do, track impact. Are we planning and buying for one ecosystem across video platforms versus sequencing or silos? Are we adapting to the new prime time programming—which often prioritizes online video? Are we taking advantage of the brand equity associated with today’s biggest content influencers, no matter where they are? What have we learned from how they’re adapting their creative approach that would work for us? Are we matching our ads to the moment? Are we experimenting with different ad lengths—:06, :15, :30, and more—to reach viewers with an ad that works for them at that moment in their day? As you ask your teams these questions and look forward to 2017, don’t forget to look back and remember the ‘80s. As fast as things are changing, it’s important to remember that many of the fundamentals remain the same. (And if you see Alex P. Keaton, tell him to give me a call). 3 Google commissioned Nielsen study, April 2016. Monthly Primetime audience for YouTube Mobile (Smartphone), Nielsen Mobile Panel. Top 10 Broadcast or Cable shows based on reach during primetime. Excludes breakouts, repeats, sustainers, specials, and programs less than 5 minutes in duration. Sample minimums applied. Non-sports program Reach (Live + 7, one minute qualifier), television only, April 2016. Top 10 Primetime shows among P18-49: 20/20-Fri, Dancing With the Stars, Grey's Anatomy, Walking Dead, Big Bang Theory, Odd Couple, Empire, Blindspot, Voice, Voice-Tue. Prime time is defined as 8PM to 11PM Monday to Saturday, and 7PM to 11PM Sunday. 8 Google Brand Lift Bumper Data, Global, January-August 2016 (255 campaigns).